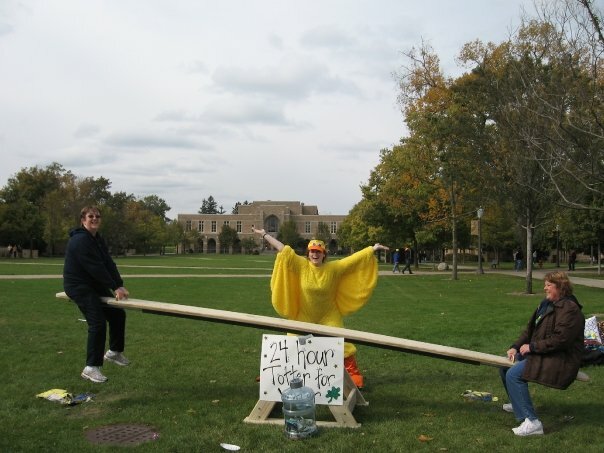 In order to fundraise for the Global Water Initiative, Howard Hall at the University of Notre Dame decided to host a 24 hour teeter totter marathon. 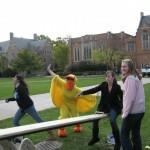 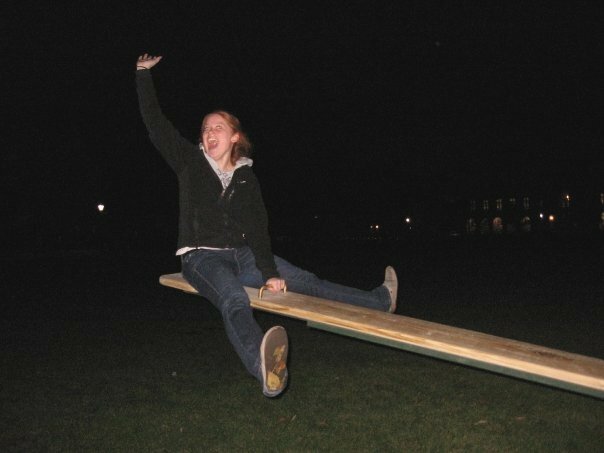 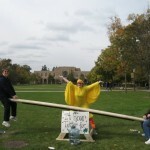 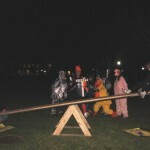 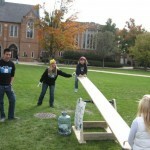 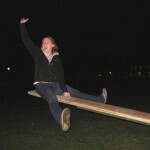 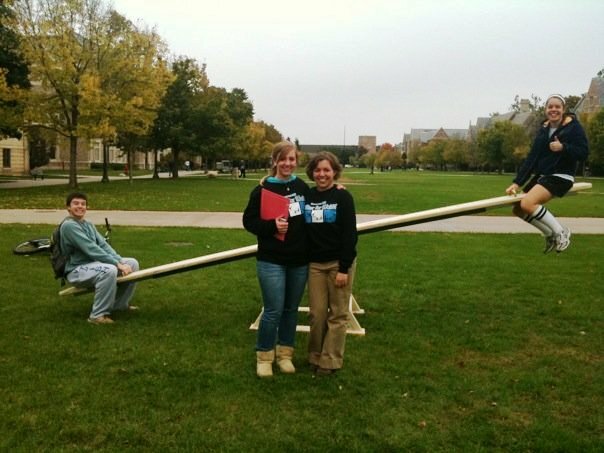 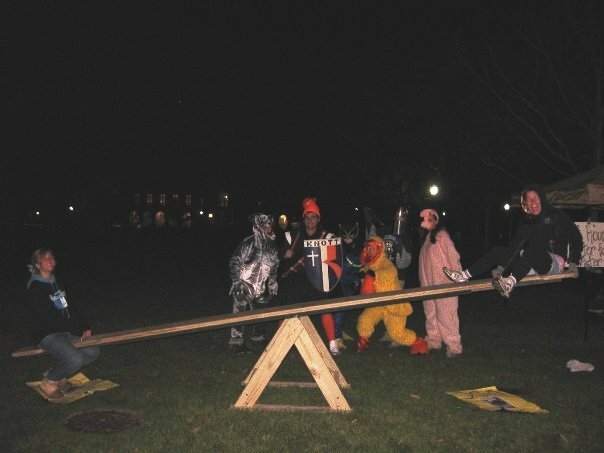 Totter for Water stationed a teeter totter right on South Quad and had people see-saw for 24 hours straight! 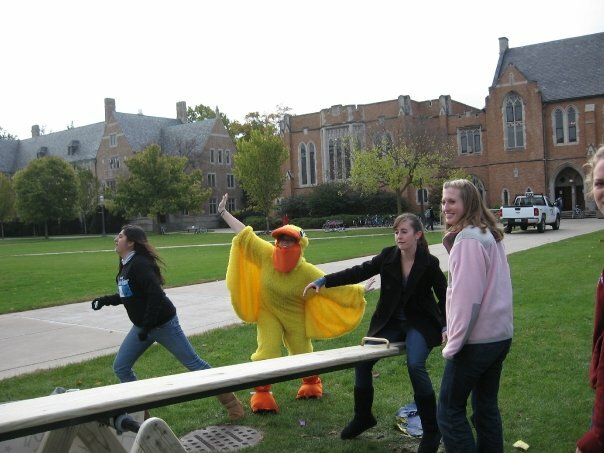 The hall’s female residents, nicknamed the “ducks”, hosted a kickoff party where dorm mascots from all over campus came to ride the totter. 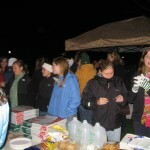 Food and music always add up to a good time. 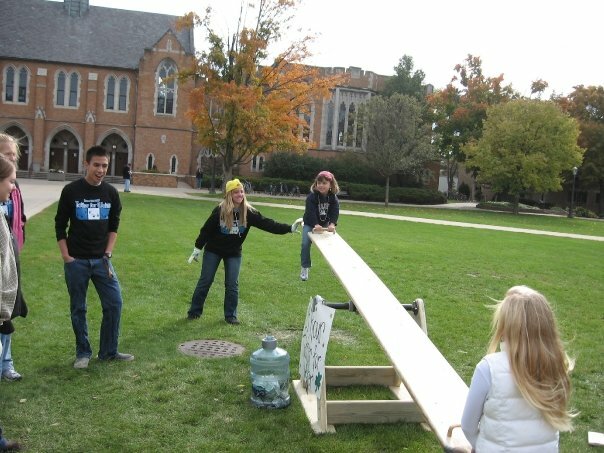 People walking by were encouraged to both donate to the cause and relive their childhood memories by riding the teeter totter. 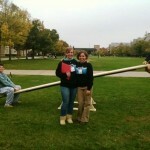 Over 270 people rode the totter. 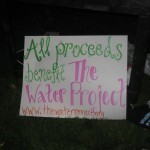 From on-site and online donations we raised a total of $2,331.03. 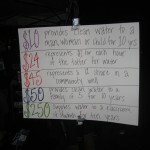 That translates as 233 people who now have access to clean water for 10 years. 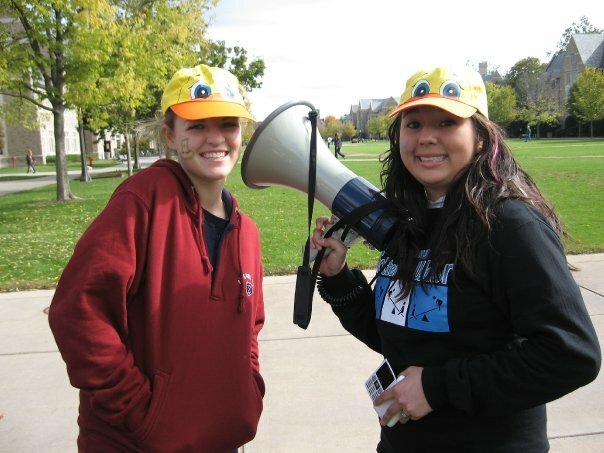 Well, you know what they say, ducks love water!! 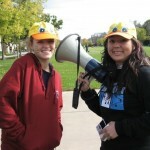 This event rallied amazing dorm support with about 100 (70%) ducks participating at some point during the 24 hours whether by helping set up food, make signs, signing up for a teeter totter shift, dressing up as the duck, getting donations from friends and family, or by simply offering camaraderie to their fellow ducks during the event. 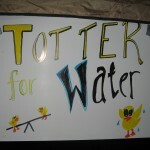 We are so happy to have had this opportunity to make a difference in the lives of men, women, and children in Africa or India and look forward to Totter for Water 2010!